Okay, so I’m dating myself a wee bit with my “Dead Show” reference. But those of you who’ve been to a few “Dead Shows” in your own misspent youths know what I’m talking about. There was a buzz (no, not that kind, well, um, yes, that kind) in some circles when the Dead were within a 500-mile radius of where you were (for a very brief, almost cute, time in some of our lives), right? You know what I’m talking about? Red Rocks? The Greek? Alpine Valley? But I’m not talking about getting buzzed. I’m talking about the electricity in the air when you know something exciting is happening, or about to happen, and you just don’t want to miss it. And you know that your friends are going to be there. And you’re not quite sure what’s going to happen, or who you’re going to see, or what special thing that’s only happening where you’re going is going to happen and then you’ll talk about “Remember the time when…” when you look back with fondness and nostalgia at that time in your life when all you had to do was jump in the car and let the whole grand adventure unfold…. Right? Are you picking up what I’m laying down? Okay. So. That’s the way the Newport stopover of the Volvo Ocean Race feels for me. Am I the only one? What do you all 7 readers out there think? I haven’t felt this way since I was down in St. Martin for the amazing first flights of the amazing, fully foiling Tesla that is the Gunboat G4, but I love the feeling of “something is about to happen.” Don’t you? There’s a buzz in the air down in Newport, right? You want to be there, right? You want to see what these crazy fast and crazy wet boats look like up close and personal, right? You want to hear the stories from the sailors themselves, right? You want to know what it’s like to be screaming along in the middle of the night when it’s blowing 30, right? 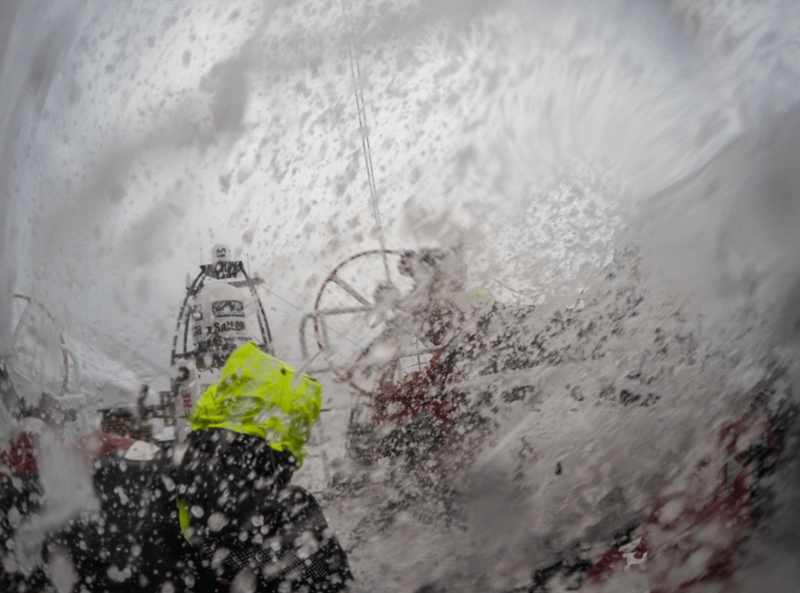 You want to know what it feels like to have a firehose pointed at you for an entire circumnavigation, right? You want to know what the rooster tail sounds like when the boat is right on the edge, right? 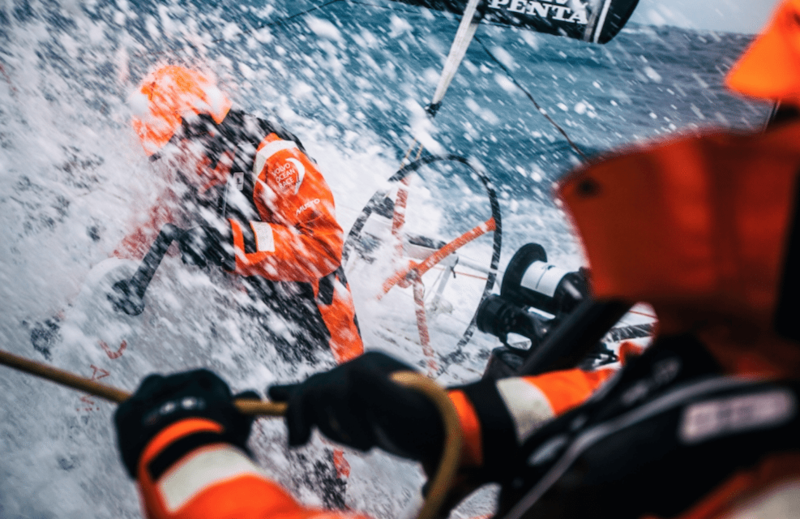 And of course, it wouldn’t be a Volvo Ocean Race if some of you didn’t want to know how the sailors go to the bathroom, right. 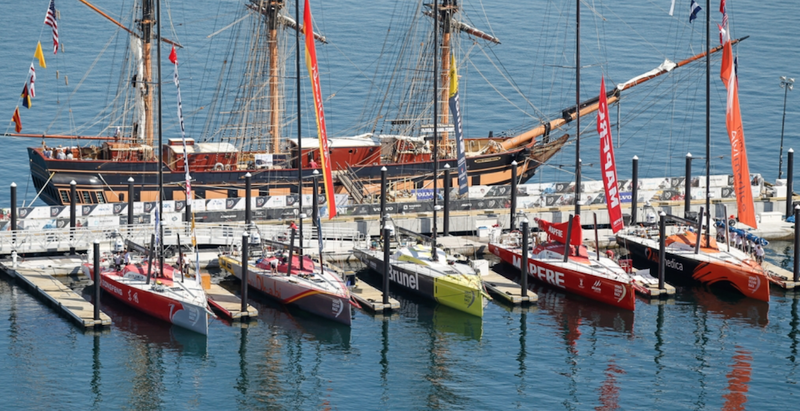 This is one of the coolest, and baddest, and toughest races in the world, but people who look at racing around the world on boats that most of us wouldn’t be able to race around Block Island on see it as more of an interesting oddity rather than something they’d ever be able to do. And full disclosure, many of these people are my more land-based friends who I love in spite of their “views,” but they do want to know how the Volvo folks (men and women) use the loo! And sleep. And eat. And get cleaned up. And you know what dammit, I’m not too proud, or too jaded, or too knowledgeable, honestly, to admit I do too! So, I’m packing up the microbus. And getting the ol’ sleeping bag out. And plotting my course for Newport. Now don’t worry, I will be leaving the dirty T-shirt, and the cutoffs, and the skateboard, and the very dazed attitude, and the annoying “Dude-speak” in the ol’ time capsule. But the good thing is, since I’m way older and way more wiser than my dazed, confused, very fun, bearded, University of Colorado student self, I’m gonna be able to rustle up some pretty cool access to all the cool stuff—VIP parties, inshore racing, Pro-Am, and the Leg start—too. We’re about to embark on a China Cat-Sunflower-Terrapin-Darkstar-Ripple-Shakedown Street-Feel Like a Stranger-Ripple–Volvo Ocean Race jam for the ages. Just get in the back of the bus. And be sure to tune back in later this week.